Continuum, the rolling seminar series, is an annual event at Shailesh J. Mehta School of Management, IIT Bombay. The Continuums are held across the various domains of management like Consulting, Finance, Human Resources, Marketing, Operations and Systems. This event aims to cover the latest trends in management by inviting eminent speakers from industry and academia. Each of these seminars focuses on issues and challenges faced by a management function, and aims at drawing insights from the knowledge and experience of the speakers. The event is a platform for deliberation and knowledge sharing, and aims to arouse curiosity among the participants regarding specific aspects of business. Mr. Atul Sinha, Vice President - New Business Development, Britannia Industries. The Marketing Continuum fever is kicked off with a Pre event challenging the top brains of the country to come up with their thoughts in less than a minute video on Mahindra Scorpio The Iconic SUV of India. The winners get a chance to participate into Mahindra Great Escape event, along with participation at I Quiz 2010 where they can earn whopping prize money to the tune of Rs. 1 lakh. 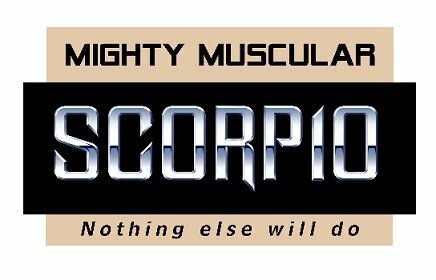 The results of Scorpio Zeitgeist 2010 have been declared. Click here to view the results. Marktrix, the marketing club at SJMSOM, IIT B strives always to share the knowledge, knowhow and excitement about marketing field with the society and hence Marketing Continuum 2010 will be followed by a National Level Marketing and Business Quiz, I Quiz 2010 in August. The Quiz is open to all corporate in India and all B school students. 24th July 2010, Marketing experts from various industries delivered lectures to a packed auditorium at Shailesh J. Mehta School of Management, IIT- Bombay. The topic under discussion was “Marketing 3.0:From Relationship to Collaboration”. Mr. Mahesh Murthy, CEO-Pinstorm, spoke of the state-of-the-art digital tools that can help manage brands in real time. Using Google trends and ad-words, it is possible to determine which keywords are “in” at any moment and then design an ad campaign around them- guaranteeing high online visibility. This requires fast turnaround times on the part of creative teams so that the Fy can respond to short-lived internet trends. Mr. Vivek Sharma, CMO- Philips India, stressed the need for market research in order to reach out to the “bottom of the pyramid”(BoP). He suggested that products should be specifically designed for the rural consumer instead of merely stripping down an urban product to basic functionality. For a marketer, immersion in rural life could be very helpful in order to determine unstated needs of BoP consumers. The event was also accompanied with a pre event named SCORPIO Zeitgeist , an advertisement making competition, witnessing a massive participation from all over India .The event was a huge success as evident from the feedback given by the judge Ms. Deepa Arjunan, DGM SCORPIO Brand “Zeitgeist received a tremendous response from all of you: future strategists, innovators - and hopefully - passionate crusaders, who will drive transformation and steer India to greater heights. Entries received for the Zeitgeist contest, reflect enormous research, hard work and imagination. The ideas are inspired and original and each video was distinct and different from the others. And though we enjoyed them all, it was definitely an effort to pick out winners – a tribute to your creativity.” said Ms. Deepa Arjunan.